We need systemic reform to move from the parallel systems we have now to an education system that is inclusive of all children, writes Cecile Sullivan Elder, executive officer of Family Advocacy. In the lead up to the NSW election, the two major parties have unveiled their plans to better support the education of students with disabilities, with both the minister and the shadow minister of education expressing their commitment to a more inclusive education system. However, lack of clarity on what inclusive education actually is, coupled with little long-term vision displayed by both sides of politics is sending confusing signals and worrying signs that these students will continue to be significantly disadvantaged. What are our politicians saying about the issue? On the one hand, there is Minister Rob Stoke’s Disability Strategy. One of the focuses of the strategy is to increase the number of specialist and support staff in schools, due to unprecedented pressure placed on the system by the increasing numbers of students with disability attending public schools. On the other hand, Labor announced their Every Child Counts policy, pledging to hire 150 additional specialised education teachers and support staff. Labor also has plans for a pilot program of therapy animals in schools for specific purposes. The fact that both parties are talking about inclusion and paying attention to the issue of the injustices experienced by students with disability is no doubt an important step forward, as is Labor’s pledge of $2.7 billion to ensure that every child in NSW has access to the best possible education as recommended by the Gonski review. However a successful inclusive education system is not possible unless whole-of-system reform occurs, which extends further than the notion of funding. Nor is it possible whilst the focus is on educating students in separate classrooms or schools, versus working towards supporting students well and together in the regular class. A more progressive and sustainable model is to focus on inclusive education as a requirement for all teachers, so they are confidently equipped and supported to teach all children, including children with disability. The expertise of special educators play an important part in this, but with the focus on utilising these skills within the regular class, and not specialised and segregated settings. For the right to inclusive education to be realised, governments must transfer resources from special schools and units into the regular classes as a progression towards a long-term plan for a fully inclusive education system. Many families are calling out for political leadership so that their child with disability has the same opportunities to be educated at their local school, in the same classroom, as their same aged peers. This is because they have experienced firsthand how damaging the current system can be for their children. This is not a new fight, as whole-of-system reform has been on the agenda for many years. The question of reform cannot be underestimated here as our current system simply does not work for many students. Children that learn together learn to work and live together, and this acts as a critical foundation in attempting to ensure that children with disabilities grow into adults that can thrive, work and contribute to the community. The NDIS has been celebrated across the country for its overarching goals of attempting to increase economic participation in employment and social participation across the community, but there remains a strong disconnect between the scheme’s objectives and the inclusion of people with disability, which begins with the segregation of students within our current education system. For many young people with disability, the chance of leaving a segregated school setting and being prepared to contribute to society has been largely minimised through years of missed opportunity for broad social engagement and learning alongside their peers. Of great concern is what both major political parties also lack in their policies: clarity as to what inclusive education actually is. Without a definition of inclusion that recognises the differences between inclusion, exclusion, segregation and integration, as defined by the United Nations Convention on the Rights of Persons with Disabilities, it is not possible to measure the success or failure of inclusive education practices within NSW and many educators around the state remain unclear of what inclusive education means. We can make NSW a place where disability does not mean exclusion and segregation. We can create a NSW where each and every child and young person are educated together, in their local community, which will also reduce the risk of children with disability being exposed to abuse, neglect, seclusion and restrictive practices. We need systemic reform to move from the parallel systems we have now to an education system that is inclusive of all children; a system that respects human rights, international and legal obligations, but also improves the quality of education for all students, based on sound 21st Century research and best practices. To achieve this, we need political leadership, and we need an Inclusive Education Policy Statement, which states a clear definition of inclusion. The Queensland government adopted one last year and now NSW needs to keep up with other jurisdictions in Australia and the world. Systemic reform does not happen overnight, but when we head to the polls we need to know that our leaders will be able to provide the direction required for us to achieve our commitment to meet the United Nations’ Sustainable Development goal to “ensure inclusive and equitable quality education and promote lifelong learning opportunities for all” by 2030. 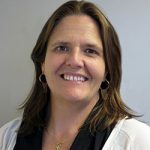 About the author: Cecile Sullivan Elder is the executive officer of Family Advocacy, a NSW organisation working with families to promote and defend the rights and interests of people with developmental disability. She has worked as a professional within the disability sector for over 25 years in many roles from community visitor with the Ombudsman Department, TAFE teaching in disability studies and change management within the disability service sector.